This cultivar, a tissue culture sport of H. 'Obsession', was registered by Hans Hansen and Shady Oaks Nurseryof Minnesota in 2001. 'Rainbow's End' was granted a U.S. patent in 2006. It grows into a medium size hosta about one foot tall by two feet wide and bears pale lavender flowers with darker centers in July. The flower scapes are red in color. 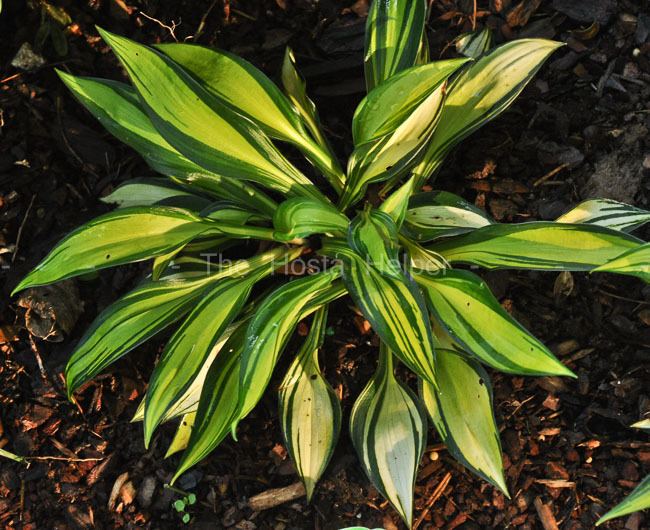 The New Encyclopedia of Hostas by Diana Grenfell (2009) states: "Slow growth rate. Useful at the front of a border, in a rock garden, or as an edging...large, curled, colorful variegated scape bracts stained red at the junction with the scape, the large red-stained flower bracts and red scape." Similar hostas include H. 'Red Hot Flash'. 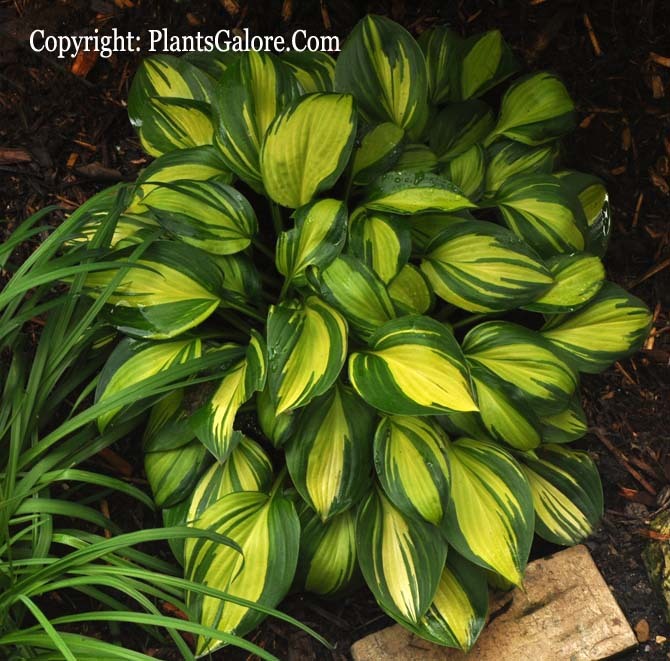 Abstract: A new cultivar of Hosta named ‘Rainbow's End’, a sport of Hosta ‘Obsession’, that is characterized by its unique variegated foliage with dark green margins comprising about one third of the leaf area and centers that emerge yellow green and turn creamy white. ‘Rainbow's End’ is a medium sized Hosta with a mounded plant habit and pale violet flowers held above the foliage in late summer.